Here at Jaguar Colorado Springs in Colorado Springs, Colorado we have this gorgeous Approved Certified Preowned 2017 Jaguar F-PACE in our inventory! The retail price is over $50,000 but the Red Noland price gives you this SUV for $48,989! That is an amazing price for a 2017 with less than 8,000 miles. This F-PACE is equipped with a powerful 3.0L V6 supercharged engine which gets you an estimated 18 MPG city/23 MPG highway. Plus, you can be excited to know you’ll be getting plenty of great advanced technology and other features. These features include Cold Weather package, heated front and rear seats, heated front windshield with timer, heated steering wheel, InControl apps, Navigation Package, Protection Package, Wheel Lock Package, and many more! 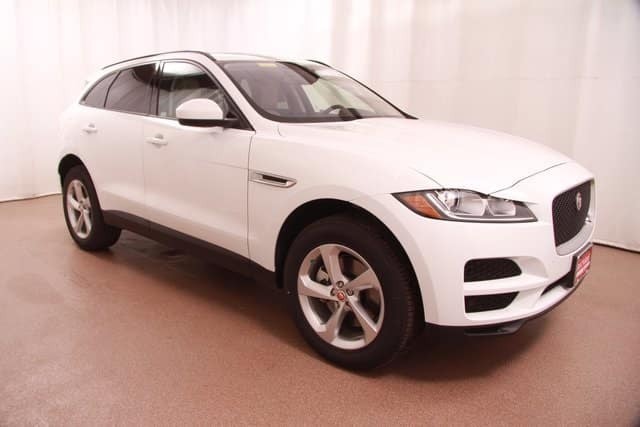 Because this 2017 Jaguar F-PACE is an Approved Certified Preowned vehicle, you get the peace of mind of a 6-yr/100,000 mile limited warranty. You will also receive 165-point inspection, 24/7 roadside assistance, trip-interruption services, rental car benefits, and a vehicle history report! So stop into Jaguar Colorado Springs today to check out this F-PACE. Our friendly sales staff would love to show you all the super features you will enjoy every day when you drive home this gorgeous luxury SUV. This beauty will make every drive anything but ordinary!